Shrubs are more widespread than trees in nature and on Earth. A new study explains their global success. It turns out that the multiple stems of shrubs are of key importance. This feature contributes to both better growth and better survival than in trees of similar size, according to the research team behind the study. Shrubs with flowers and berries are popular in parks and gardens, and in nature they are far more widespread than trees: shrubs grow on at least 40 per cent of the world’s land surface while for trees the figure is only 28 per cent. Still, relatively few efforts have been made to fully understand them. Now Frank Götmark, Elin Götmark and Anna Jensen, researchers in Sweden at the University of Gothenburg, Chalmers University of Technology and the Linnaeus University, have explored the reasons for the great success of shrubs on our planet. The research team’s theoretical model shows that shrubs, with their multiple stems, have a larger total cross-sectional stem area at the base than trees with the same above-ground woody volume. This makes it easier for shrubs to grow since it helps them transport water and nutrients more rapidly to leaves and growth processes. Available studies in nature support the team’s model. Shrubs also have a larger bark area than a tree of similar size. Since the bark is where buds form, this enables them to form twigs, leaves and crowns at a faster rate, which implies a growth advantage compared with trees, which prioritize vertical growth in their single stem. However, trees also have advantages. For example, they can grow bigger and compete by shading the shrubs, according to the researchers. 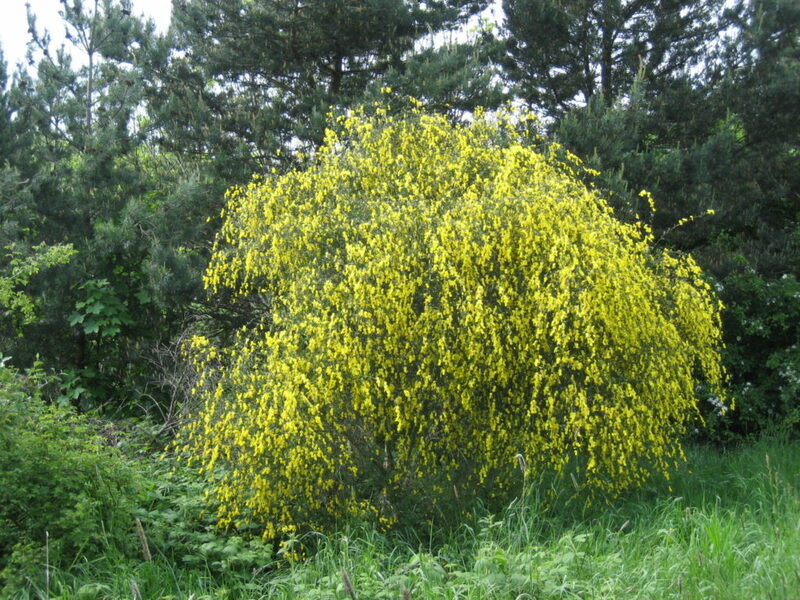 Yet the fast growth and lower height of the shrubs mean that they can bloom earlier in life, set seed faster, and more quickly spread to new places. If a stem breaks, a shrub will likely do better than a tree, which only has one single stem to rely on. Being lower in height also offers advantages in windy, cold and arid environments, which explains why shrubs also are common in deserts and arctic habitats. The new study is relevant for understanding the current global expansion of shrubs in grasslands and heathlands (‘shrubification’). The study is published in Frontiers in Plant Sciences. Web Source: University of Gothenburg. Original written by Carina Eliasson.